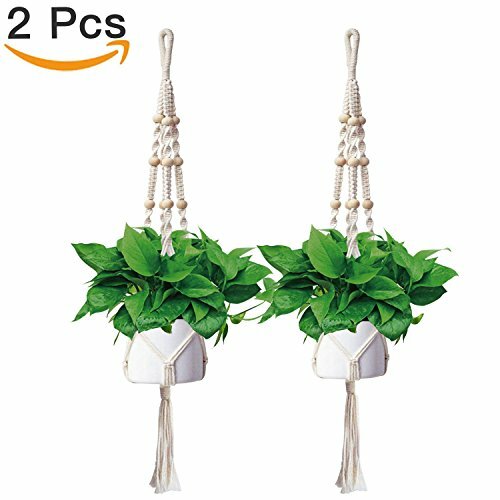 Anglink Hanging Plant Holders, 46 Inch (2 Pack) Outdoor Indoor Macrame Plant Hangers Rope Holder for Plant Pot Cotton Rope, 4 Legs by Anglink at Tulips Orchids. MPN: 4336474588. Hurry! Limited time offer. Offer valid only while supplies last.